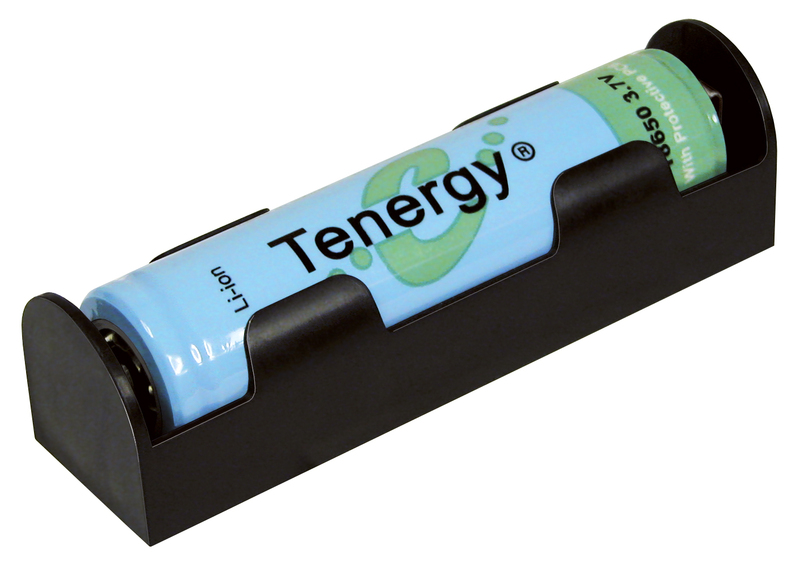 Commonly utilized in laptop computers, lithium-ion 18650 batteries are typically manufactured with built-in protection circuit modules (PCMs) that provide an added safety margin, as these batteries are prone to overcharging or over-discharging. To incorporate the PCM, which contains a circuit board and fuse, 18650 lithium-ion batteries are typically 1mm longer than standard cells. 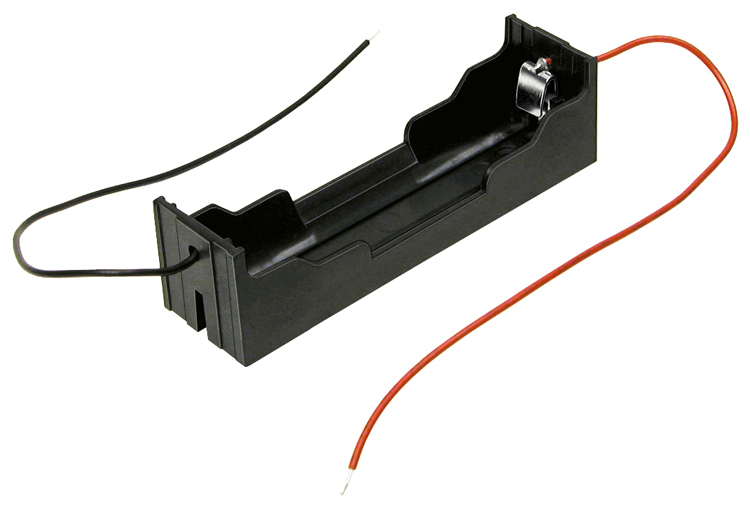 MPD manufactures a full line of battery holders for 18650 cells. To accommodate a single 18650 cell, MPD offers the BK-18650-PC2, which sits just 21.4mm above the PCB and is constructed of black polypropylene (PP), with nickel-plated steel contacts, and two PC pins. The BH-18650-PC is made with PBT and dual pressure contacts and printed circuit pins while P/N BH-18650-W comes with wire leads. To accommodate applications requiring four (4) 18650 batteries, MPD offers the BK-18650-PC8, which is made from glass-filled black PBT with nickel-plated steel pressure contacts for maximum reliability. The BK-18650-PC8 has eight (8) PC pins. For maximum safety and reliability, it pays to combine top quality 18650 batteries with built-in protection circuit modules (PCM) with top quality 18650 cell holders made by MPD.